Gyms frequently exceed WHO guidelines for healthy air quality. During exercise, you usually inhale more air and breathe it more deeply into your lungs. As a result, the risk of adverse effects from air pollution also increases. High CO2 levels, common in gyms from increased respiration, can escalate fatigue and mental fogginess, and hinder athletic performance and endurance. In the competitive market for gyms, and increasingly popular home fitness options, air quality is a crucial factor to engage those for whom health is top priority. Clean air is an important differentiator for health-minded customers, in the competitive market for high-end health centers. Ensure that air quality is at optimal levels for safety, comfort and performance, so that clients can achieve their full potential in confidence. 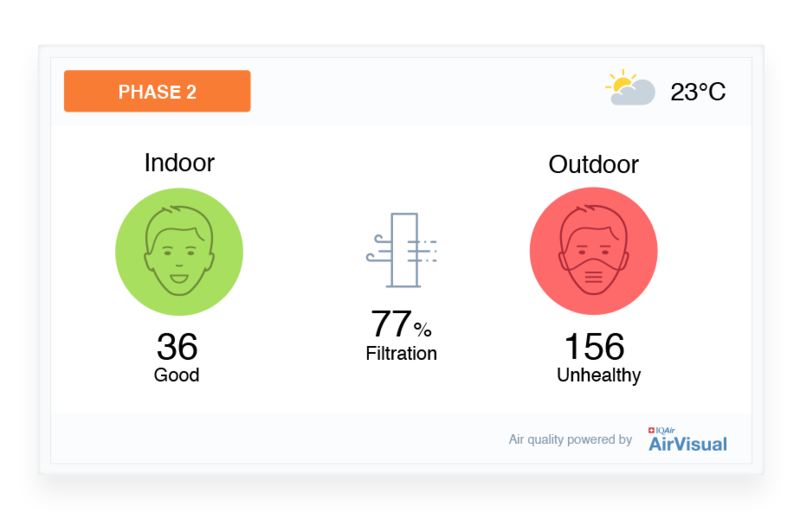 Optimize air quality systems so that clean, fresh air is always maintained. 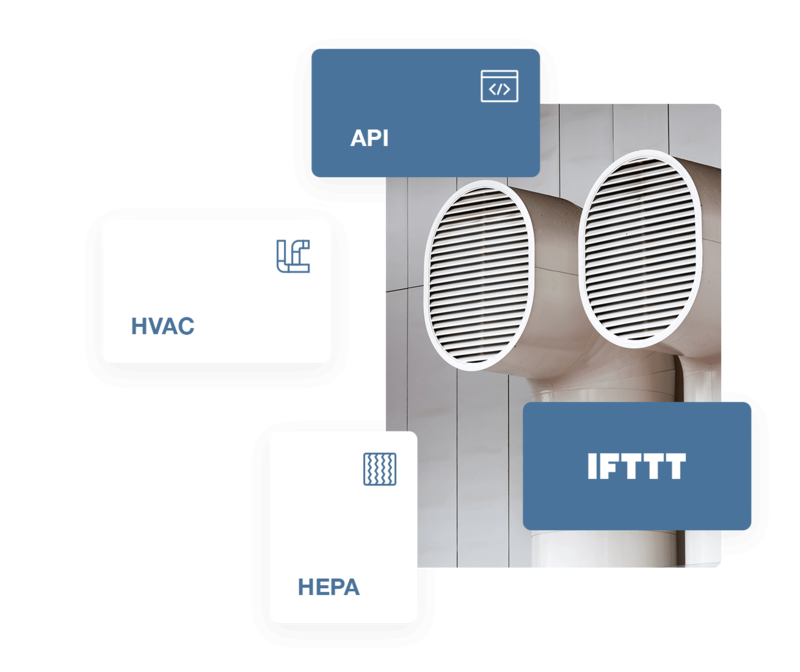 Integrate readings from the air monitor network to automatically control IQAir’s CleanZone SL purifier, and other HVAC/purifying devices via smart rules, so that air purification manages itself. Build confidence and engagement among gym-goers, by displaying an additional element to their fitness: real-time indoor & outdoor readings through on-site monitors and TV screens. 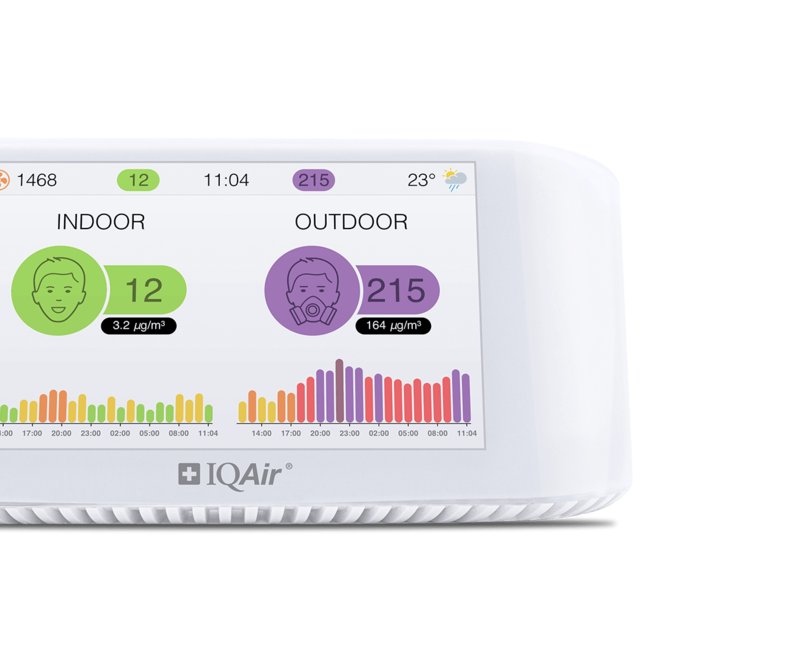 Help customers to find your clean air sanctuary, by promoting your premium air quality readings to local health & air quality enthusiasts with live readings displayed on your website, through social media and 3rd party apps.